Residents clap before catching coloured scarves. 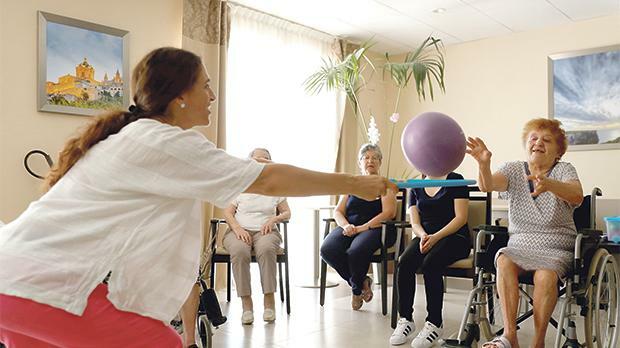 Playing a game of charades, waving colourful scarves or using pool noodles are all activities elderly people engage during sessions held by ACTive Age Malta. 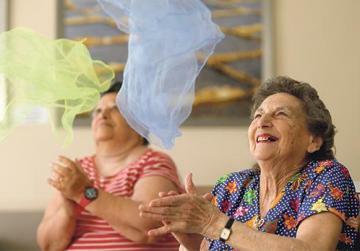 ACTive Age Malta is a collection of various drama-based projects aimed at the physical, social, creative and emotional development and well-being of older adults. Through various workshops and exhibitions, participants are encouraged to hone into a sense of liberation and freedom of expression, a desire for novelty, a motivation to share wisdom and find meaning in their lives. 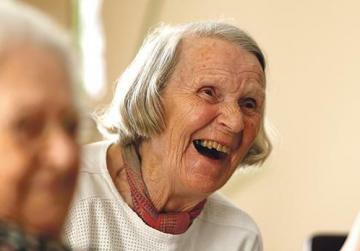 A resident laughs during an activity session. The sessions, led by Charlotte Stafrace, also embody both intercultural and intergenerational components where possible. 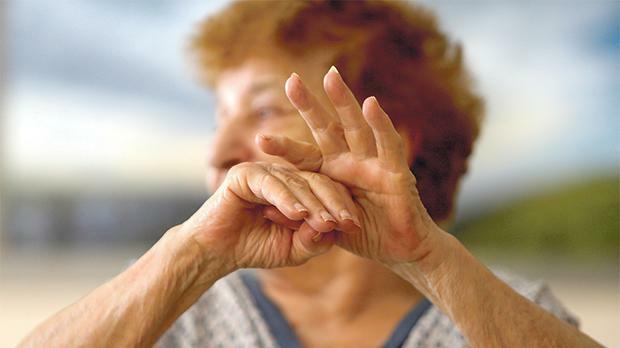 Ms Stafrace, a theatre practitioner, set up ACTive Age in late 2014. She notes that change is difficult at every age and very much so at the third age (active retirement). Her aim is to help participants leave their comfort zones. Funded by Premju tal-President (Community), the project provides the opportunity for fun, learning and gentle exercise within a very comfortable, supportive and creative environment. 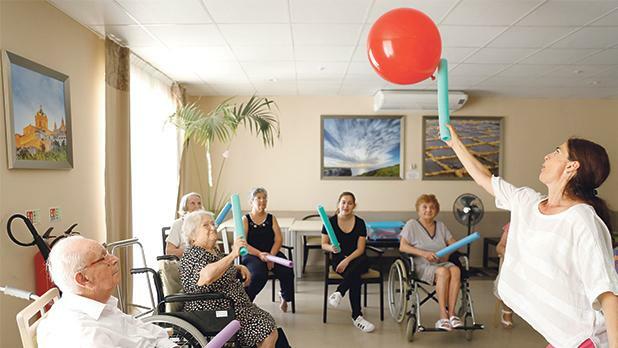 A resident tosses a ball through a hoop held by ACTive Age Malta facilitator Charlotte Stafrace.